Alcoholism, as opposed to the safe consumption of alcohol, remains a major public health issue. In this accessible book, Robert Dudley presents an intriguing evolutionary interpretation to explain the persistence of alcohol-related problems. Providing a deep-time, interdisciplinary perspective on today’s patterns of alcohol consumption and abuse, Dudley traces the link between the fruit-eating behavior of arboreal primates and the evolution of the sensory skills required to identify ripe and fermented fruits that contain sugar and low levels of alcohol. In addition to introducing this new theory of the relationship of humans to alcohol, the book discusses the supporting research, implications of the hypothesis, and the medical and social impacts of alcoholism. 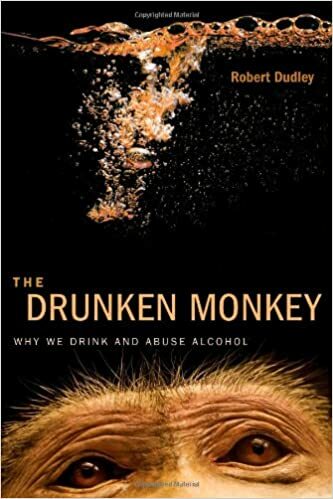 The Drunken Monkey is designed for interested readers, scholars, and students in comparative and evolutionary biology, biological anthropology, medicine, and public health.